Everyone wants to create something thing they can call their own and be able to inspire others to follow on your footsteps. Take the example of Mark Zuckerberg; he started something that went on to become a household name and earned him billions of dollars. Isn’t it just fascinating? Imagine creating something that can be used by users from all around the world? It is not only mind blowing but inspiring. The most amazing thing is that he did all that while still at Harvard University. Regardless of where you are, your dreams are still very valid and you too can still create something that can influence other students to want to emulate you. Creating a start-up is not as easy as it looks on paper. It requires sheer will and determination that will help you to get over the trying times. Not every story out there has ended up as a success story, some entrepreneur students have had quit along the way simply because their start-up ideas did not amount to something substantial. With these tips, you can turn your start-up idea into something concrete that can help you succeed in that line of business. Every time you want to create something new and amazing, just identify a problem and be the one that offers people solution. Therefore, your start-up idea should be something that can solve a personal problem. Look at it on a long term basis; will your idea be able to solve the society’s problems in the long run. If so, then, you are on the right path. You do not want to create something that can only provide provisional solutions to personal problems. Your start-up idea should arise from the needs of the people. Always remember that the best ideas normally emanate from your own experiences and your immediate surroundings. Do not go out looking for a problem before exhausting what’s on your plate. This might sound as a cliché but the truth of the matter is that there are countless of opportunities all around us. It all goes down to how well we are prepared to tap into those ideas to come up with something concrete. While you are busy trying to find the best idea to implement, do not forget your consumers and your original mission. Always keep your consumers in mind because they are the same individuals that will determine your success rate. 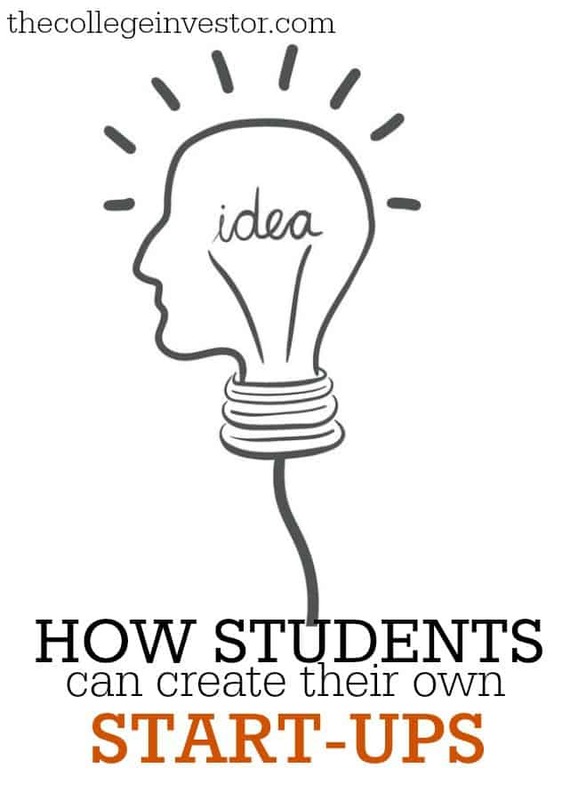 The biggest challenge for students when it comes to creating their own start-up involves funding their idea. 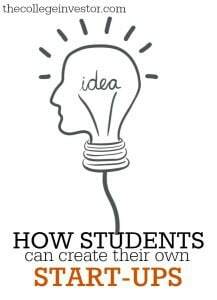 Most students have great ideas but lack the funds to make their ideas practical. If you ever find yourself in such a position, you may want to consider crowdfunding such as Kickstarter as you best available option. The only catch with some of these sources is that you’ll need to have a compelling story to back you up. Kickstarter has an amazing community that can support you as you actualize your start-up idea. Crowdfunding is an awesome way that can be used to raise money to help you to maintain equity in your start-up business. It might take you a little while to get off the ground but it can never leave you disappointed. Your crowdfunding campaign needs to be spot on. Ensure that you have a clear ask, you remain transparent, prepare more and that you have a story to tell. With crowdfunding, all you need to do is to get people to connect with you on a deeper level. Before the community can be able to support your idea, they need to know exactly what you need with your idea to make it move forward. Do not be afraid to ask for help whenever you are at a crossroad and do not exactly which way to take. There is no better place to start your start-up than when in school. Whether you are in college or university, this is the best time to create your start-up. You have all the time to gamble with your idea and even if things do not go your way you can always fall back to your books. There are also great resources available which can be explored to your advantage such as entrepreneurship programs. Ever since Mark Zuckerberg hit the jackpot with Facebook, many young entrepreneurs and brilliant innovators have come up with other great innovations leading up to successful start-up businesses. More and more students are now finding it increasingly attractive to venture into business and become young entrepreneurs. As for institutions, they are well aware of this trend and are now coming up with accelerators and the right amount of competition to spark ideas in students. Even with that said, not every story has turned out to be a successful one. Some of these cases have been nothing short of epic fails because these students fail to understand what it really takes to succeed with their first or even second business ideas. Without a brilliant mind to be innovative, commitment, desire and being goal oriented, it is almost impossible for anyone to make it with their startup businesses. Even for the likes of Zuckerberg and Bill Gates, they needed to put in some extra efforts before finally realizing success. In this piece, we’ll take a look at some of the startups that have been started by students and how these startups have fared on over the years. The online assignment help service that continues to serve individual from all around the world was created by college student who were eager to help others achieve their desired grades. The company hires professionals to help with the completion of assignments. Currently, no one can argue with the fact that Microsoft is one of the largest companies in the world. And with an enterprise value of $281.27 billion you can understand why the company is among the top seeds. Bill Gates founded the company while studying at Harvard University. As a student at Harvard University, Zuckerberg was able to create one of the most successful social media platforms and turned it into a lucrative startup business. The company was founded in 2004 and currently boasts of having an enterprise value of around $211.16 billion. In 1995, these two graduates from Stanford University founded this company that changed the way people communicated. The company started small but now brags of having a market value of around $40.94 billion and an enterprise value of $34.21 billion. As a social networking, an entertainment and a news website, Reddit was founded by two grad students at The University of Virginia dating back in 2005. The company currently boasts of having over 174 million users spread across over 186 countries. It has an enterprise value of $240M. Mullenweg was a grad student at The University of Houston when he created the company in 2003. Ever since then, the company has grown to become one of the most successful online platforms in the business. WordPress has an enterprise value of $1.16 billion. The search engine was created in 1998 by grad students from Stanford University. Over the years Google has grown tremendously and is currently the leading search engine with most users. The company has a total market value of abound $380.81 billion. The company was created by students from Yale University in 1923 and has grown to become a global brand. With over 3 million circulations, a market value of $2.49 billion and an enterprise value of $3.34 billion, you can understand why the company continues to thrive. As a grad student at Northeastern University, Fanning created this company in 1999 and watched it as it grew into a household name. The company makes an annual revenue of about $ 156.21 million, a market value of $256.32 million and an enterprise value of around $78.38 million. While studying at the University of Texas, Michael Dell was able to create a company which over the years has grown in popularity. The company was founded in 1984 and now boasts of having a market value of over $24.4 billion and an enterprise value of over $22.2 billion. The company was created by college students and the numbers can paint you a clear picture of how the company has grown. Founded in 1992 by students from Williams College, the company now has an enterprise value of $17.45 billion and market value of $16.31 billion. It wasfounded in 2007 by Brad Hargreaves,Sean Mehra, Matthew Brimer and Jeffrey Reitman. This online game has already gained its popularity, 0ver 40,000 are crazy about GXStudios. Its main peculiarity is that it resembles real campus game Risk as a territorial battle. Green Mobile was set up by Brian Laoruangroch (Missouri class of ’09) in 2004. The main purpose of the start-up is to buy, sell and repair used mobile phones. At first, it was just an eBay fun, but later on this hobby appeared to gain $500,000 profit. Not bad for a hobby, isn’t it? Zac Workman, being a student of Indiana University, made up energy drink Punch. The starting budget of the campaign was $200,000, Workman’s and his family money. ZW Enterprise was founded in 2008 and in a few years managed to bring $1,000,000 of revenue. Being a 20-year-old students at the Uni of Pennsylvania, Ben Lewis created his company. The distributor of water bottles is Starbucks. There is a share from each sold bottle that goes to charity. After a year and a half since the launch of the company, the company had sold water for $650,000 (share of charity more than $50,000). The company was treated as the national one. Justin Cannon and Chris Varehorst were far from philology in the Institute of Technology, realizing how hard it was to learn foreign language. This was a boost for them to set up Langt Language, the special tool that makes the process of language learning easier. It lets teachers upload individual tasks together with images and other interactive elements. It is also possible to record and upload one’s own audio files. All these examples show how close success is. All you need is motivation and inspiration, and of course a couple of tips given by experienced start-uppers. Here is a couple of them. Bill Gates says that it is useful to enter into partnership, since it’s easier not to lose spirits when there are two of you. It is also a good opportunity to make the relationship for the future. Mark Zuckerberg advises to monitor the niche you want to get involved into or has already been working for. This helps to catch up some new strategies on time and stay informed. When hiring people, according to him, it is better not to rely only on skills. Passion is also extremely important. Alexis Ohanian thinks that when creating a start-up, people should solve real problems with it. Alexis says that it is great to start in the coding field, being yet a student. This will help in the future with a thorough understanding of how the apps and programs work. Matt Mullenweg believes that it is better to start with the field where competition is less. Another step towards success with your start-up is to get to know your users and clients better and to learn to understand them. Larry Page is sure that success is inevitable if you are busy with the idea you are crazy about, you are dreaming of, you are excited with. Quite optimistic, isn’t he? Now you are armed with all the tips and inspirational examples! Why not to start? Just remember no one will do this for you. Believe in yourself, believe in your power and everything will work out just awesome! Creating a start-up requires a lot of effort especially in the case of students. You need to create a balance between your studies and your start-up and know exactly how to apportion your time. Remember that where there is a will most definitely there is a way. Try your level best to seek advice even from your processors and other parties that can add value to your idea and do not be afraid to fail. Solving a problem is key to success when it comes to building a business. If you can solve a specific problem that people have, then you can build a business to do it (and make money). I wish I had started my businesses in college – it would’ve saved me a lot of law school debt! Such a great reminder – you need to be the answer to someone’s need to really be successful!